Gyotaku means "print fish" in Japanese. 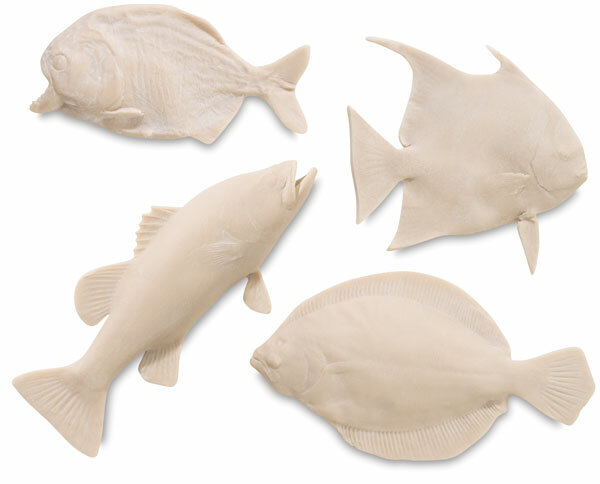 Apply block printing ink directly onto rubber fish replica with a foam brayer or brush. Place printmaking paper over fish, rub, then print. 4 and 9 different fish in sets. This set includes a replica from the species Flounder, Piranha, Angel Fish, and Bass.